Last year about how to set your home recording studio. But building the home studio is not enough. You need to create your own instrumentals in order to get 100% original. I will get into music producing today. Any producer needs a control surface when making his instrumentals. 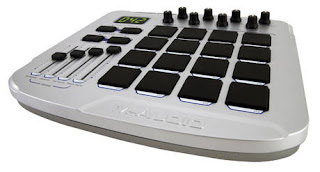 There are multiple midi keyboards/control surfaces alternatives, but the best can be found in the following list: Novation, M-Audio, Akai, Cakewalk, Edirol, Korg. You can also check top home recording mics.